MAEBASHI, GUNMA PREF. 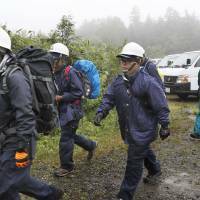 - All nine passengers on a rescue helicopter that crashed on a mountain near the border of Gunma and Nagano prefectures on Friday died, Gunma Prefectural Government officials confirmed on Saturday. 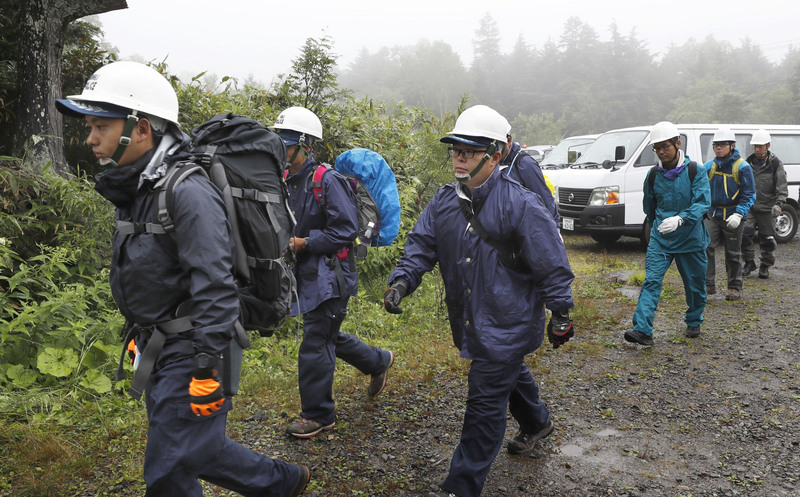 The helicopter, which was checking a mountain trail ahead of its opening to climbers, went down near the prefectural border Friday morning. 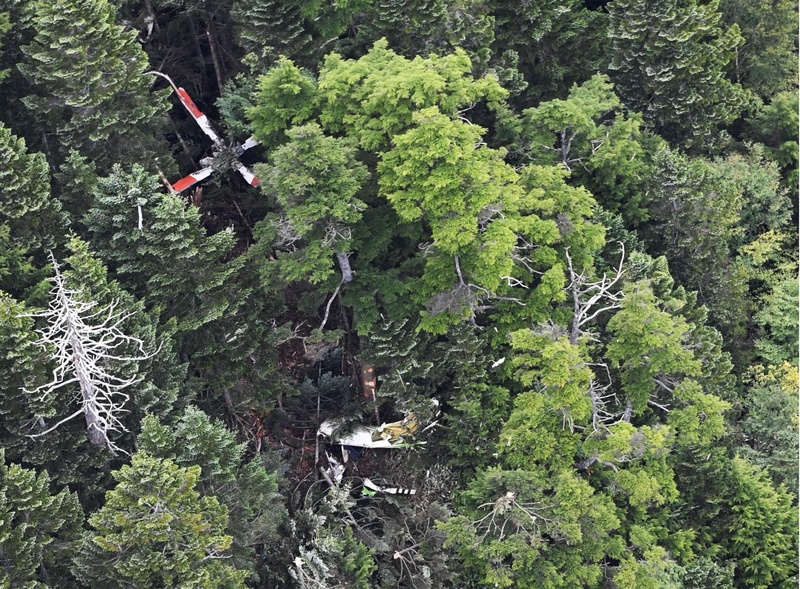 The prefectural government identified the pilot as Noriyuki Amagai, 57. 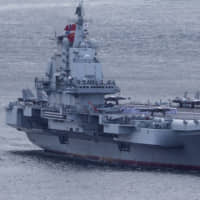 Also aboard was mechanic Susumu Sawaguchi, 60. Both were employees of Toho Air Service, which maintains the aircraft. 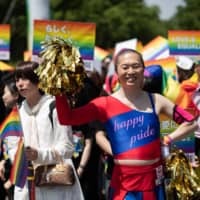 They were part of a prefectural disaster management unit together with two others — Satoshi Ozawa, 44, and Akihiro Oka, 38. The other five were firefighters Ken Tamura, 47, Yosuke Mizuide, 42, Hidetoshi Shiobara, 42, Hiroshi Kuroiwa, 42, and Masaya Hachisuka, 43. Around 160 rescuers, police officers and Self-Defense Force personnel entered the area by foot Saturday morning. 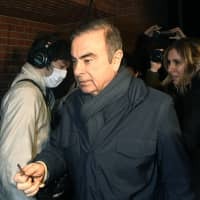 While the cause of the crash is not yet known, eyewitnesses said the helicopter, which belongs to the Gunma Prefectural Government and was operated by a Tokyo-based aviation company, was flying very low. One eyewitness said the engine was making an unusual sound. Officials of the local government in Gunma Prefecture said the Bell 412EP helicopter lost contact after leaving a heliport in Maebashi at around 9:15 a.m. Friday. It was due to return about 90 minutes later. The helicopter went into service in May 1997 and had clocked over 7,000 flight hours. It was due to be taken out of service in 2020. 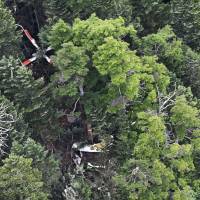 There was no flight recorder on the aircraft, according to the local government. Such devices are not mandatory for rescue helicopters.